Your wedding day is the most romantic and memorable day of your life. 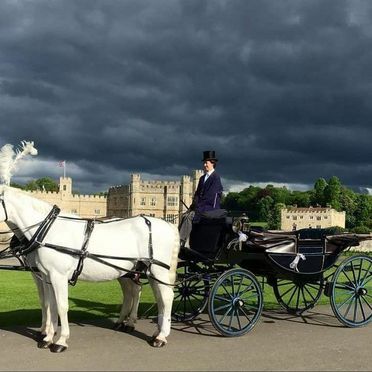 What better way to arrive than in a classic and elegant horse and carriage? 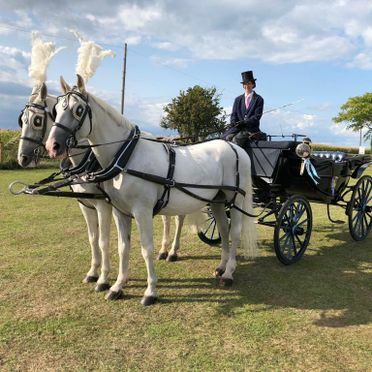 Here at Acorn Carriage Hire, based in Faversham, Kent, we offer beautiful blue Landau wedding carriage hire solutions that afford you a stylish arrival on your big day. 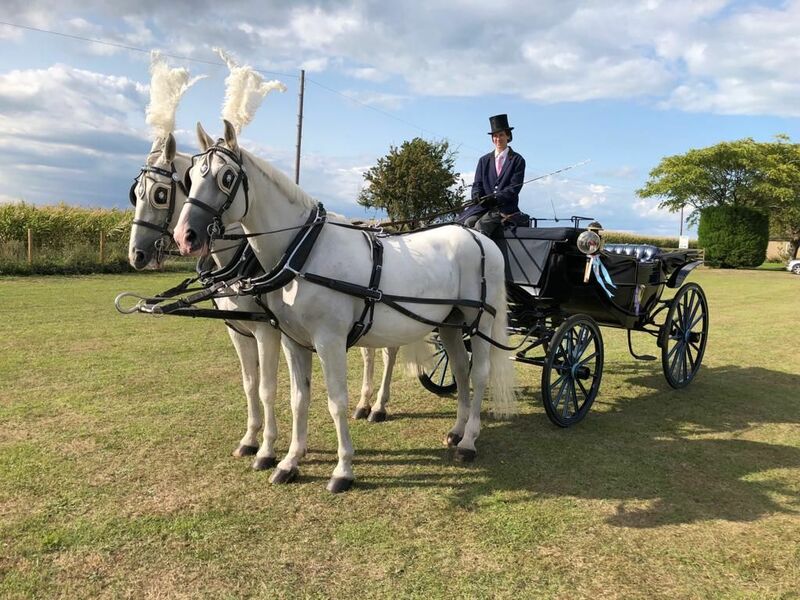 Seating up to four people, our carriages can be pulled by either a pair or team of stunning white (grey) horses or a team of majestic black Friesian horses from Belgium. Our horses will be traditionally dressed in white head-dress and ostrich plumes, with ribbons to match the theme of your wedding. What’s more, their tails will be intricately platted to add a final touch of class. For a more elegant look, our wedding carriages can also be decorated with fresh flowers that match your floral arrangements. 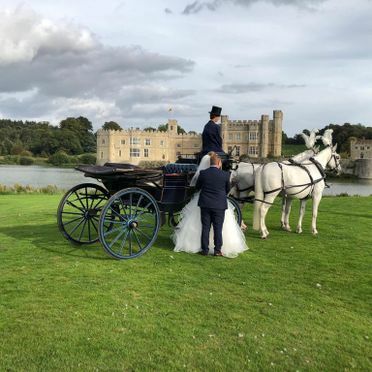 When you hire our horse-drawn carriages for your wedding, you’ll be recreating the grace of a bygone age, arriving at your venue in a beautiful and classic way. Our horse-drawn carriage hire is perfect whether you want a traditional wedding, vintage wedding, or rustic wedding. 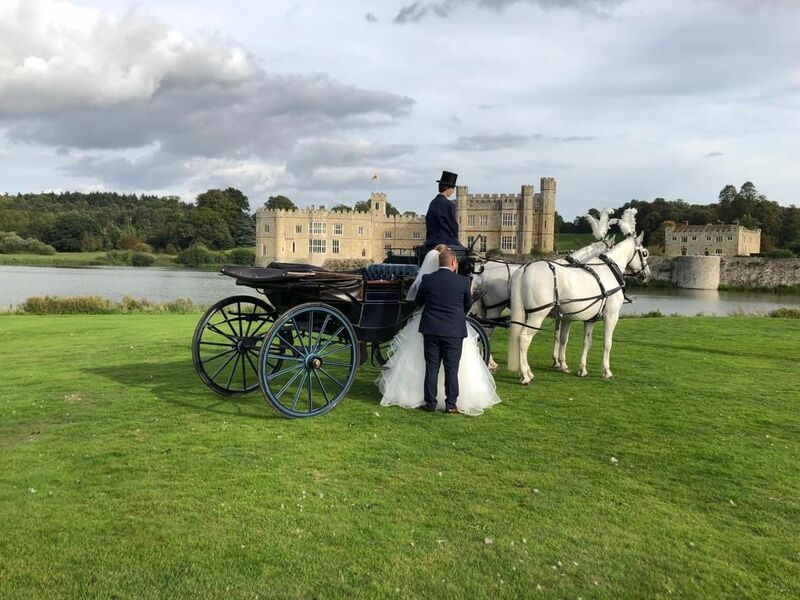 Plus, when you hire one of our carriages, you’ll be taking care of finding something old, something new, something borrowed, and something blue. 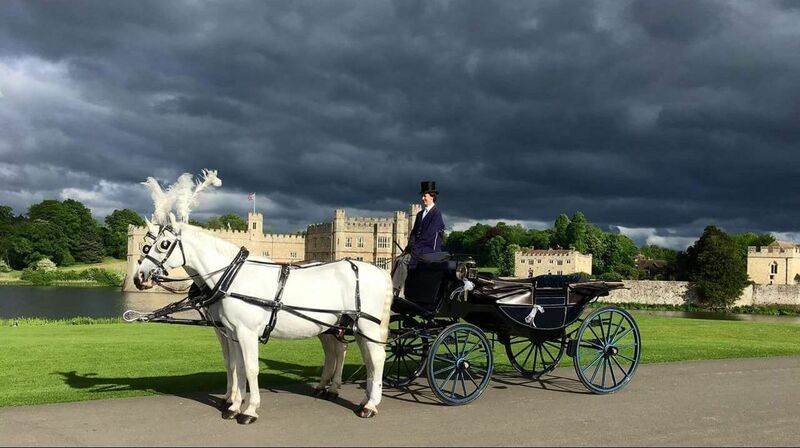 Contact us, in Faversham, Kent, for more details on our wedding carriages and other horse and carriage options.